The spread of invasive species is a phenomenon that is increasingly growing thanks to both the number of known cases and an increasing awareness on the part of the general public. These invasive species (including plants) are now recognised as being one of the three major causes behind the loss of biodiversity at the global level. Even though we will not be working to eradicate all invasive species in the project area, we will attach the necessary importance to this problem. 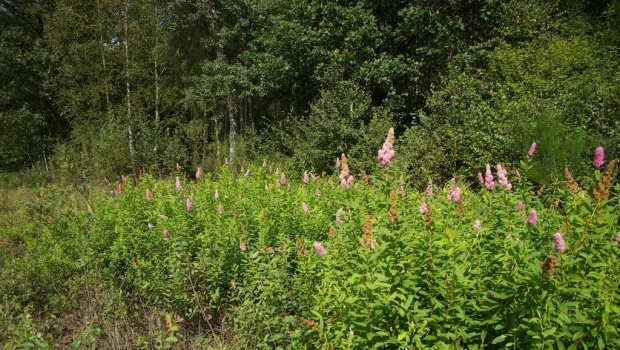 The LIFE project will take into account the Walloon list of invasive species, in particular, the black cherry (Prunus serotina), the summer lilac (Buddleja davidii), the giant hogweed (Heracleum mantegazzianum), the Himalayan balsam (Impatiens glandulifera), the Japanese knotweed (Fallopia japonica), the narrow-leaved ragwort (Senecio inaequidens) and, to a certain extent, the black locust (Robinia pseudoacacia). As a matter of fact, the configuration of corridors and a network of lines facilitates the spread of these types of vegetation. Today it is known that these species have a very strong colonisation capacity on altered or "damaged" soil. Yet the management of the network and that of the forests means that, in places, heavy machinery passes frequently over the site which is very detrimental to the soil. This may be a contributing factor in worsening the problems of these species in forest access routes. 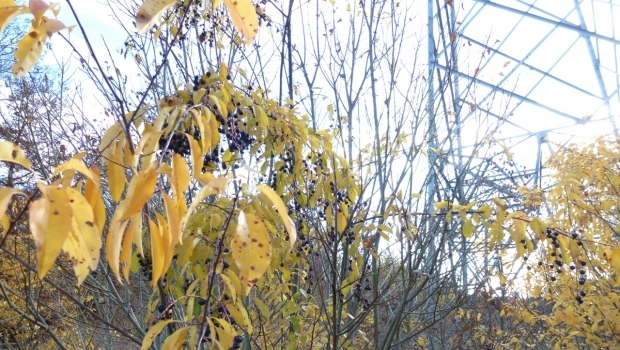 The management itself of these corridors for high-voltage power lines is also a high-risk factor; companies that are responsible for rotary cutting travel from one site to another as and when sites are accessed and may become vectors for spreading these invasive species and considerably extending their proliferation. Once sites with invasive species are located, information is gathered relating to the methods for "gently" combating the growth of these plants. Several LIFE projects have already worked on this problem in other Member States. The contact that we have had with them should allow us to identify effective synergies in terms of transferring experiences. 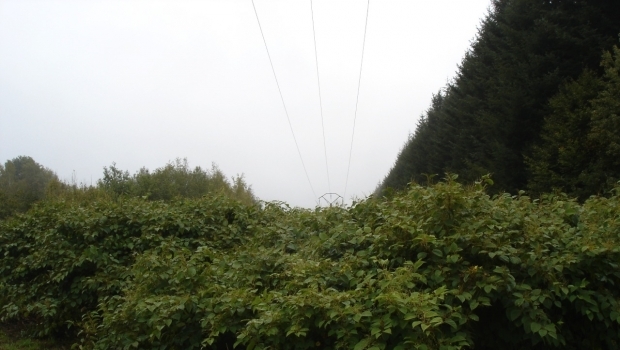 These different techniques will be implemented underneath the high-voltage power lines in an attempt to eradicate the numerous populations growing in these corridors. This action may also prove to be preliminary to others: creation of edges (C1a), putting in place pasture infrastructures (C6) or the creation of simple flower meadows (C7), etc. The LIFE project has planned to treat invasive species on 20 to 30 hectares underneath the lines.